One of the most common reasons for doctor’s visits and lost time at work is back pain. Although the pain can be incapacitating, the good news is that most cases are temporary and resolve on their own. 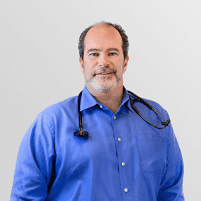 Dr. Michael Temkin in San Ramon, California, can help you manage your pain as well as work with you to prevent future problems. Call or click today to make an appointment. What symptoms usually accompany back pain? Rather than a condition producing a single sensation, back pain varies. You may feel muscle aches at times, while pain occasionally stabs or shoots to parts of your body, often in association with particular movements. Radiating and phantom pain is also common. Because back pain may result from irritated nerves at the spine, you may feel pain, numbness, tingling, or other sensations anywhere along the path that nerve takes. When you have lower back pain, often the sciatic nerve is involved, so you may feel sensations down your buttocks, outer thigh, knee, and even into your foot. Restricted mobility and stiffness also accompany back pain. Occasionally, restricted mobility may be the greater problem, with pain occurring only when you move beyond a limited range of motion. Just as there’s no single symptom, there’s often no single cause. Back pain can be acute — starting suddenly and lasting no more than a month or so — or chronic — lasting months, years, or more. Sometimes, physical exams and diagnostic imagery can determine the cause, while other times, sources of pain are merely suspected and positively identified. Chances are that with some rest and moderate stretching, most cases of back pain resolve themselves in a matter of weeks. Despite the tendency to rest when you’re feeling pain, back problems usually respond to light activity that doesn’t aggravate the pain. If you can walk pain-free, for example, that may your best option. When over-the-counter medication doesn’t handle pain, however, a visit to Dr. Temkin is in order. He can also recommend stretches, hot and cold treatment strategies, or other self-care options. Surgery is rarely necessary to help with back pain.